Many people ask us how the up lights look setup on the floor. 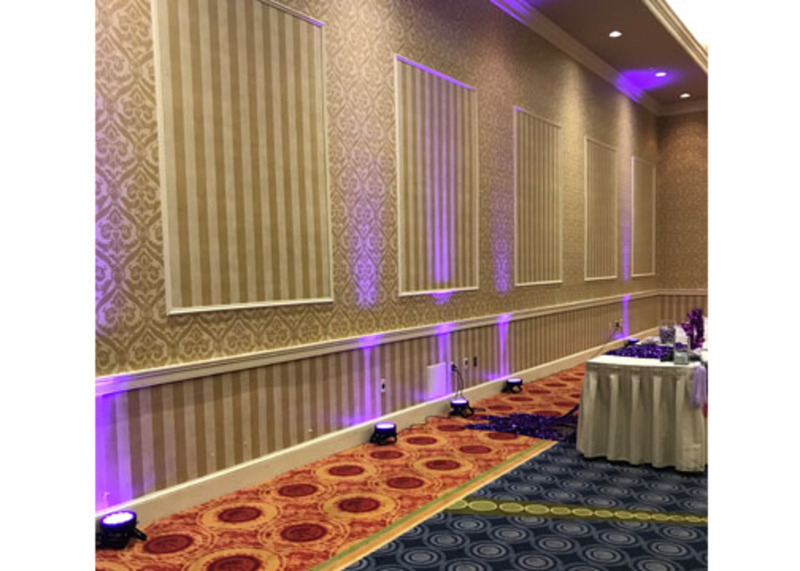 This is a great example photo showing 5 of our most popular uplight rentals setup and plugged in, ready to go before the party. And then in the second photo, you can see how they look when the lights are turned down. These uplights do need to be plugged in to a wall. Or you can plug one into the next, creating a chain and then just plug the first unit in the chain in the wall. 15 foot power cables are included to make this easy. 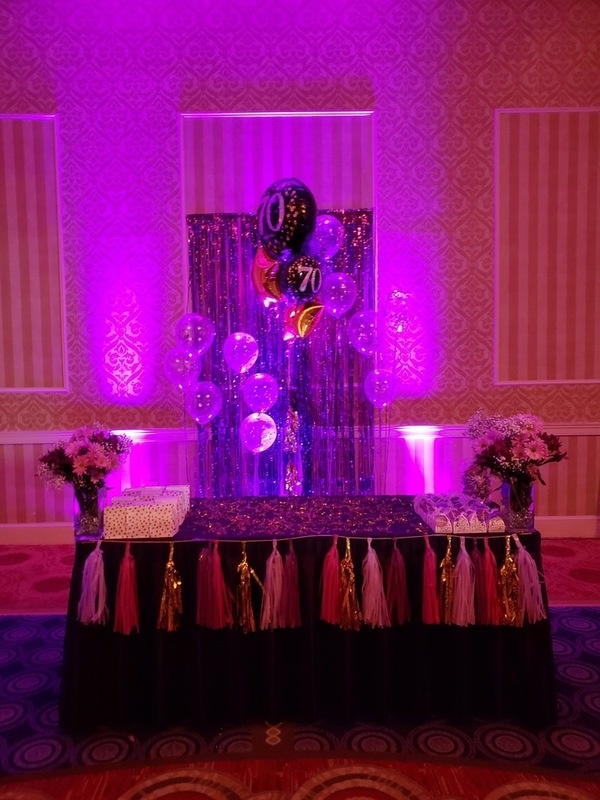 Rent uplighting for your next big birthday party by making a reservation. To make a reservation, simply select the uplight you want to rent, and check availability. A complete and instant quote will be generated. Follow the instructions to complete your reservation.